The tradition of the intensive practice period dates back to the time of the Buddha when, during the rainy season, the Buddha and his disciples gathered in one place to meditate and study together. In Zen monasteries intensive practice periods traditionally last for three months. At Mountain Rain we hold an eight-weekpractice period each fall, designed to support participants to intensify and strengthen their practice while living in the midst of family and work responsibilities. Each person chooses his or her own level of involvement. Practice period is led by our guiding teachers, sometimes along with a shuso (head monk), a long-time practitioner whose role is to support the sangha through the practice period by offering a class, giving several talks, meeting for tea with participants, and cleaning washrooms, a traditional practice of humility. 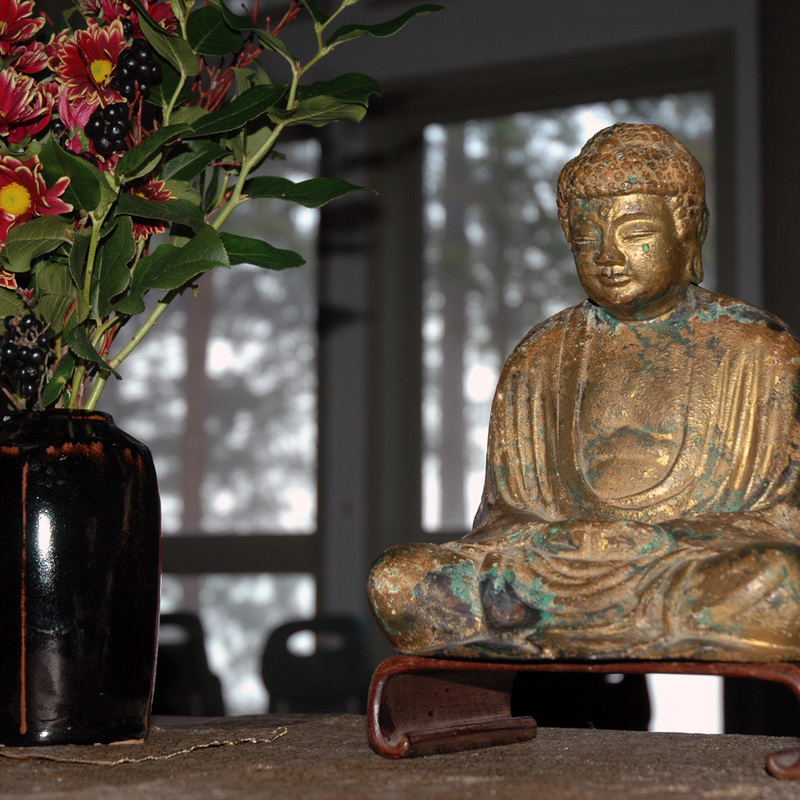 The opening weekend retreat begins with the Shuso Entering Ceremony and Loon Lake sesshin closes with a Dharma Inquiry Ceremony in which the shuso answers a question from each participant. Detailed information on our Practice Period is posted in our Events section each year. 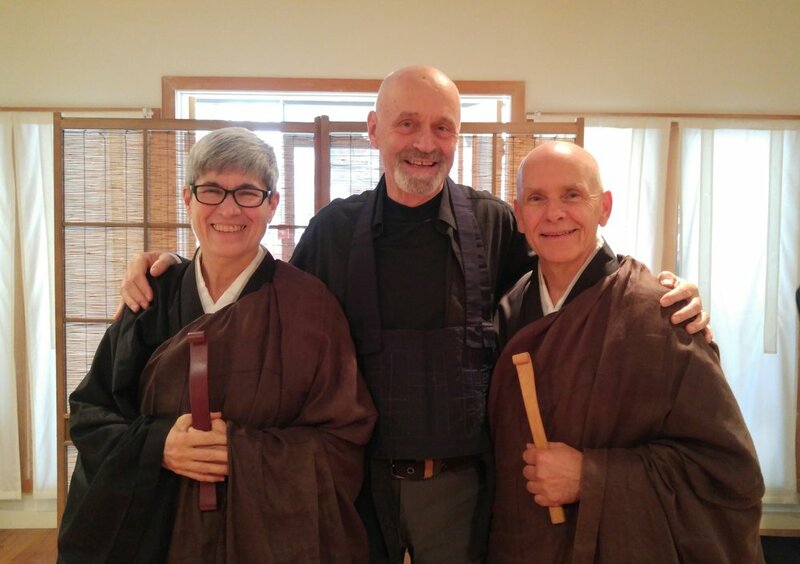 Mountain Rain Guiding Teachers Myoshin Kate McCandless and Shinmon Michael Newton, with 2017 Practice Period Shuso Jakushin Todd Slobogean.